One in 3 American adults have high blood pressure. High blood pressure increases your risk for serious health problems, including stroke and heart attack. Get your blood pressure checked regularly starting at age 18 – and do your best to keep track of your blood pressure numbers. Blood pressure is measured with 2 numbers. The first number is the pressure in your arteries when your heart beats. The second number is the pressure in your arteries between beats, when your heart relaxes. Ask your doctor about things you can do to reduce your risk. You can find common questions to ask your provider here. The Basics: What is a Stroke? A stroke is sometimes called a “brain attack.” A stroke happens when blood flow to part of the brain is blocked, which can hurt or kill cells in the brain. Stroke is a leading cause of death in adults. It’s also a common cause of brain damage and long-term disability. The number one risk factor for stroke is high blood pressure. High blood pressure has no signs or symptoms, so it’s important to get your blood pressure checked regularly. Ask your doctor how often you need to get your blood pressure checked. You can also ask whether measuring your blood pressure at home is right for you. You are at higher risk of having a stroke as you get older. You may also be more at risk if someone in your family has had a stroke. Make sure you know your family’s medical history and share it with your doctor. Having a stroke is a medical emergency. 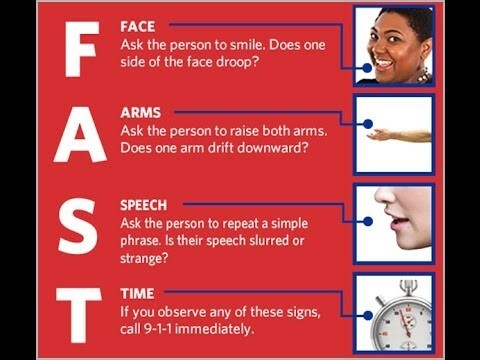 Call 911 right away if you or someone else shows signs of stroke. Your chances of surviving and recovering from a stroke are better if you get emergency treatment right away. A mini-stroke has the same symptoms as a stroke, but the symptoms don’t last as long. 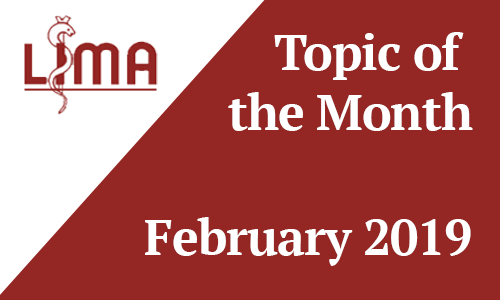 A min-stroke is also called a TIA, which stands for transient ischemic attack. A TIA happens when blood flow to the brain is blocked for a short period of time – usually a couple of minutes. If you’ve had a TIA, you are at greater risk for having a larger stroke. Never ignore a TIA. Call 911 right away if you or someone else shows signs of stroke. Take these steps today to reduce your risk of stroke. Ask your doctor about taking aspirin every day. It’s important to get your cholesterol checked regularly. Too much cholesterol in your blood can cause a heart attack or a stroke. Total cholesterol is a measure of all the cholesterol in your blood. It’s based on the LDL, HDL, and triglycerides numbers. What if my cholesterol levels aren’t healthy? Men over age 65 who have smoked at any point in their lives have the highest risk of AAA. Both men and women can have AAA, but it’s more common in men. The aorta is your body’s main artery. An artery is a blood vessel (or tube) that carries blood from your heart. The aorta carries blood from your heart to your abdomen, pelvis, and legs. If the wall of your aorta is weak, it can swell like a balloon. This balloon-like swelling is called an aneurysm. 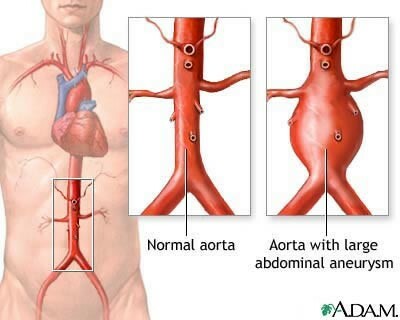 AAA is an aneurysm that occurs in the part of the aorta running through the abdomen. If AAA is found early, it can be treated before it bursts. That’s why it’s so important to talk to your doctor if you may be at risk.